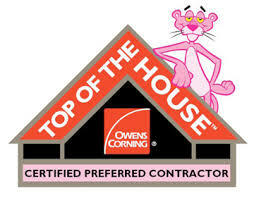 Referrals Roofing, LLC is a North Carolina company based in Charlotte. Referrals Roofing is a General Contracting firm which allows us the flexibility to handle more complex projects. With more than 26 years in the storm damage restoration and home improvement business Referrals Roofing has been providing our clients in Charlotte, Durham and Atlanta with the highest quality materials and workmanship backed by the strongest warranty program in the industry. Beyond fiberglass and asphalt shingle roofing, we also offer cedar shake, metal, copper, slate roofing and Spanish tile roofing as well as TPO, EPDM and rubber roofing. Our commitment is to provide quality service without compromise on every job, and we are proud of the high standards of service we hold ourselves too. Whether your roofing needs are big or small, commercial or residential, we have the experience needed to get the job done right the first time.